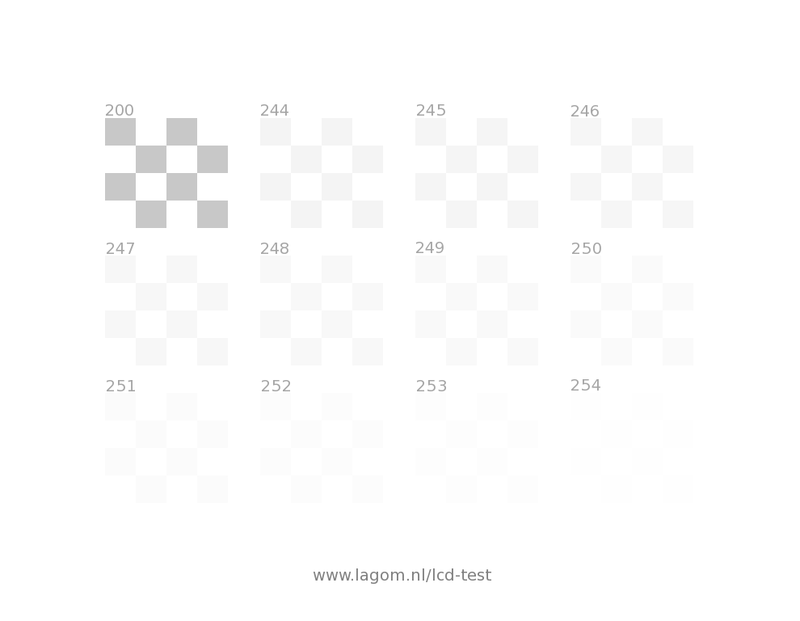 Below are 12 light grey checkerboard patterns on a white background. Each of them should be distinguishable from the background, which has value 255. This image is best viewed from some distance. Again, the contrast and gamma settings are likely to affect this.